Hanoi (VNA) – Malaysian Minister of Finance Lim Guan Eng wants Goldman Sachs to pay 7.5 billion USD in reparations over its dealings with scandal-hit state fund 1MDB, a report said on December 21. Lim told the Financial Times that Goldman should return 6.5 billion USD, which is the sum of three 1MDB bond issues arranged by Goldman in 2012 and 2013, plus 1 billion USD, to cover fees they earned plus interest payments on the bonds. In a response to Lim’s comments, Goldman noted that a huge portion of money raised in the bond issues was “stolen for the benefit of members of the Malaysian government and their associates”, the Financial Times reported. Billions of dollars were purportedly stolen from the fund and used to buy everything from yachts to artwork, in an audacious fraud that allegedly involved former Malaysian Prime Minister Najib Razak and contributed to his government’s shock defeat in May elections. Malaysia this week filed criminal charges against the bank and two of its former employees, alleging they took part in a scheme to steal huge sums while raising cash for the fund. Malaysian Attorney General Tommy Thomas said criminal charges under the country’s securities laws were filed on December 17 against Goldman Sachs, its former bankers Tim Leissner and Ng Chong Hwa, former 1MDB employee Jasmine Loo and financier Low Taek Jho in connection with the bond offerings. According to the Attorney, the charges arise from the commission and abetment of false or misleading statements by all the accused in order to dishonestly misappropriate 2.7 billion USD from the proceeds of three bonds issued by the subsidiaries of 1MDB, which were arranged and underwritten by Goldman Sachs. Goldman has previously said it will fight the charges brought against it by Malaysian authorities and that members of the former government in Kuala Lumpur and 1MDB employees lied to the bank. Ng appeared before a Kuala Lumpur court on December 19 and pleaded not guilty. He has also been indicted in the US, and American officials are seeking his extradition. Meanwhile, Leissner has been indicted in the US and has pleaded guilty. 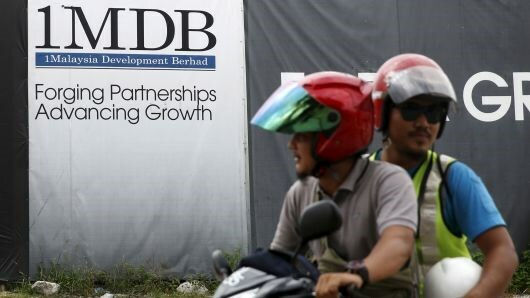 Then Prime Minister Najib Razak founded the 1MDB investment fund in 2009, supposedly to serve Malaysia’s development through global partnerships and foreign direct investment. However, it became the centre of a money laundering scandal, allegedly causing losses of billions of USD and leading to probes into the financial markets in several countries such as the US, Switzerland, Singapore, Malaysia and China. (BBG) Malaysia is demanding Goldman Sachs Group Inc. bear the brunt of the 1MDB scandal, opening up another legal front for the Wall Street firm over its role raising money for the investment fund. Goldman Sachs said it would “vigorously contest” the charges, which it said came without a chance for the firm to provide its view. Malaysia is filing the charges against three of the bank’s units — Goldman Sachs International (UK), Goldman Sachs (Singapore) and Goldman Sachs (Asia) LLC — the Edge newspaper reported, citing charge sheets from the Kuala Lumpur court. Read about how 1MDB scandal shook the financial world. And two Abu Dhabi funds — International Petroleum Investment Co. and Aabar Investments — have filed a civil suit against Goldman Sachs in New York, seeking damages for alleged fraud in connection with embezzlement at 1MDB. Malaysia has filed criminal charges against units of Goldman Sachs Group Inc. involving what it said were false statements made in relation to 1MDB bond sales. The government will seek fines well in excess of both the $2.7 billion of allegedly misappropriated funds and the $600 million in fees received by Goldman for the 1MDB deals, Attorney General Tommy Thomas said in a statement. The allegations, the first criminal charges against Goldman since it was embroiled in the 1MDB scandal, relate to three bond sales worth $6.5 billion that the bank arranged for the troubled state fund. Malaysia said circulars and memorandums that Goldman prepared for the notes contained statements that were false or misleading or both. Goldman allegedly misrepresented to investors that the proceeds would be used for legitimate purposes, when the bank knew that the funds would be misappropriated, the statement said. Goldman will “vigorously defend” against the charges, spokesman Edward Naylor said in an email. “We believe these charges are misdirected,” he said, adding that the bank continues to cooperate with all authorities investigating the matter. Related charges were also filed against the bank’s former employees Tim Leissner and Roger Ng, as well as former 1MDB employee Jasmine Loo Ai Swan and fugitive financier Low Taek Jho. Malaysia will seek custodial sentences against each of the accused individuals with a maximum term of 10 years, according to the statement. Malaysian Prime Minister Mahathir Mohamad. Photo: Reuters / Lai Seng Sin. The Prime Minister of Malaysia, Mahathir bin Mohamad, is being feted during a two part visit to Britain despite a long history of antisemitic statements and a virulent anti-Israel speech delivered at the General Assembly of the United Nations last week. According to the UK’s Daily Mail, on his initial arrival in Britain last week, Mohamad first visited Imperial College, where he was warmly welcomed by the vice-president and provost. He followed this with a visit to Oxford University, where he gave a speech at the Centre for Islamic Studies. He will shortly deliver a speech at Chatham House, a major British think tank. Mohamad is perhaps one of the world’s most powerful antisemites. He has said that he is “glad to be labelled anti-Semitic” and equated the Jews with the Nazis. In his UN speech on Friday, Mohamad blamed Israel for world terrorism and endorsed the Palestinian “right of return,” which would entail the destruction of the Jewish state by weight of demography. The Six Day War was the result of the massing of Arab armies on Israel’s borders with the declared intention of annihilating Israel.